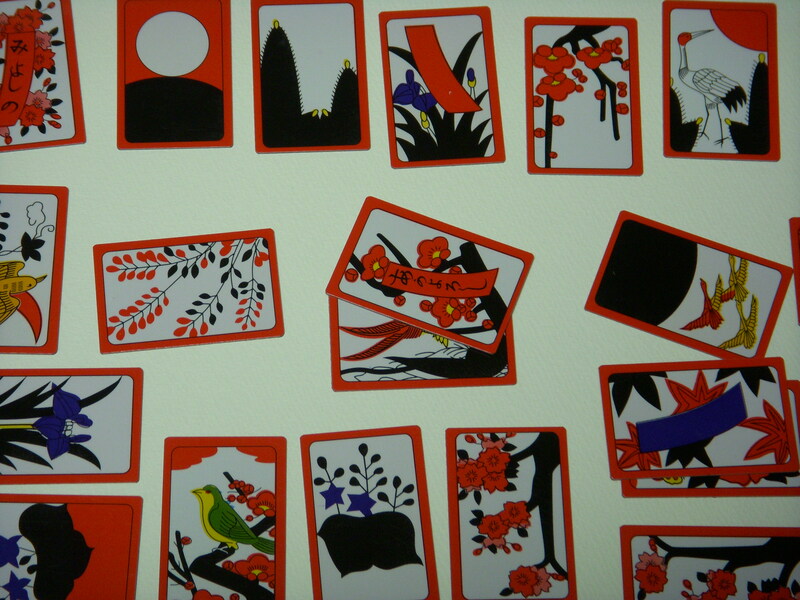 For many years I have been an avid collector of 花札 (hanafuda, traditional Japanese flower cards). I first became familiar with this unique card game years ago in South Korea, where the game is still intensely played on a regular basis, even on the sidewalks in more rural areas. 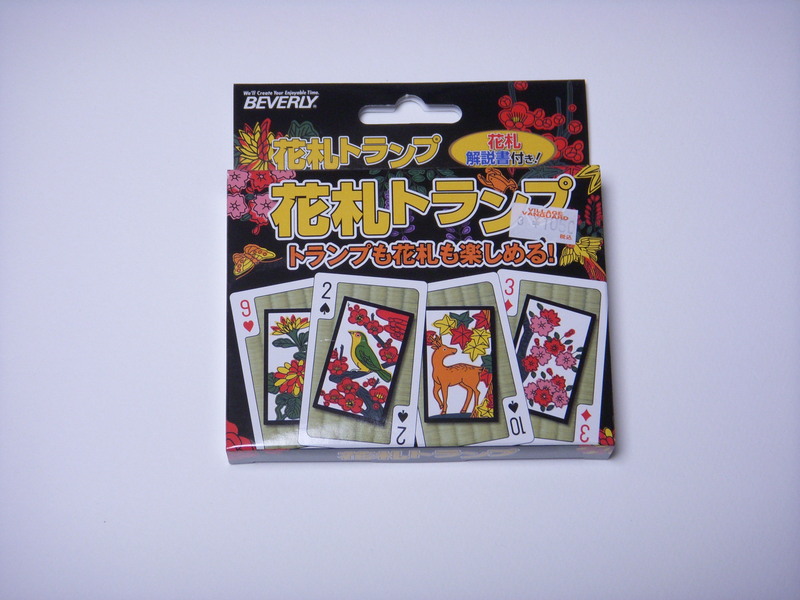 When I first began living in Japan I was surprised to find that hanafuda is a dying past time. Most young people are barely familiar with it, and only some of the adult population know anything about how to play the game. Unfortunately it has taken on a bit of an underground, shady perception, because of the games dissemination within the yakuza. Because of this, many associate the game with gambling. 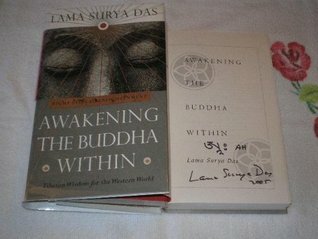 Still, there are many people (often the older sect) who still enjoy this game as pure entertainment, despite its somewhat dubious reputation. 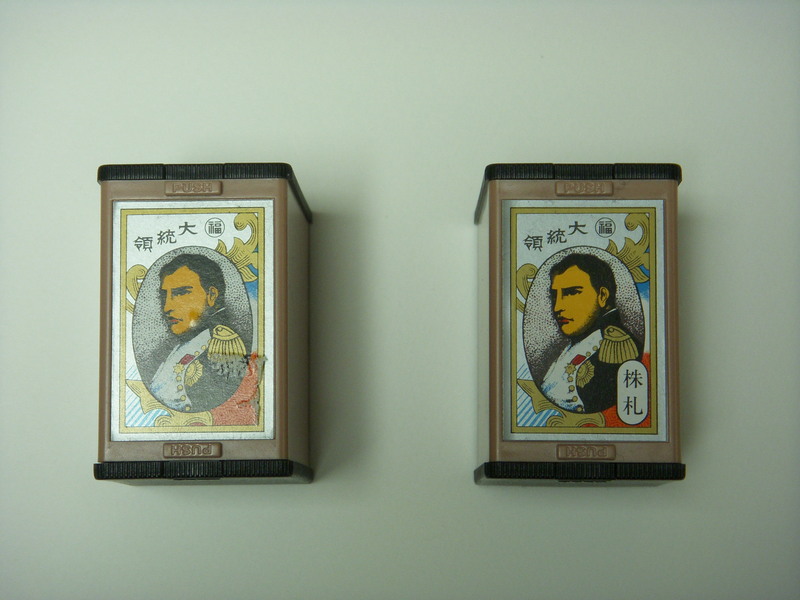 All this makes the game very much a niche hobby within its native land, and I have had to learn how to sniff out finding hanafuda cards for sale (an increasingly difficult proposition here in Tokyo) wherever they might be. One can usually find a cheap ￥100 deck at most 100 Yen shops, but for people who really want to get into this incredible and beautiful card game there is one shop I have returned to frequently in Tokyo called 奥野かるた (Okuno Karuta), between 神田(Kanda) and 神保町(Jinbochou). 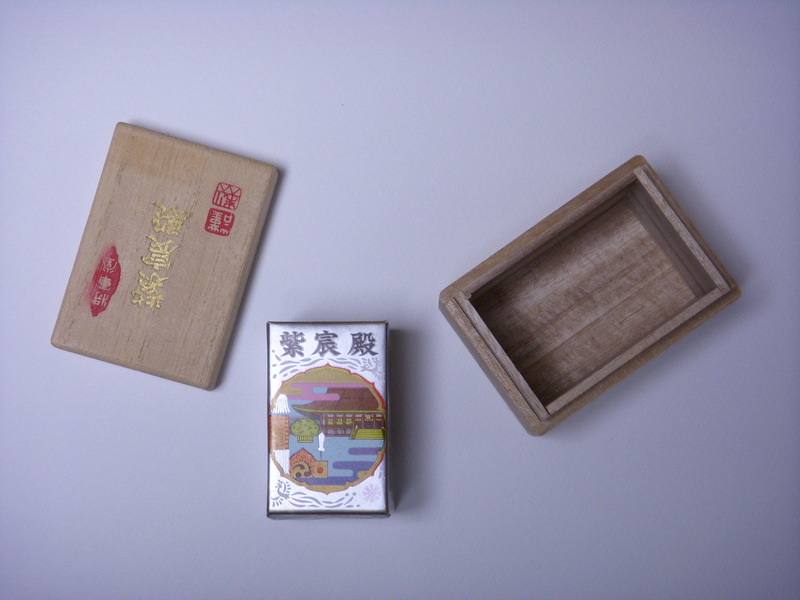 This place is truly the Mecca of all things hanafuda, as well as 株札(kabufuda, an offshoot of hanafuda, with an even more yakuza-oriented past), かるた(karuta), 囲碁(igo), and all things concerning traditional Japanese table games. The second floor doubles as a small museum for more expensive pieces and antique items not for sale. My current collection features a wide variety of styles. 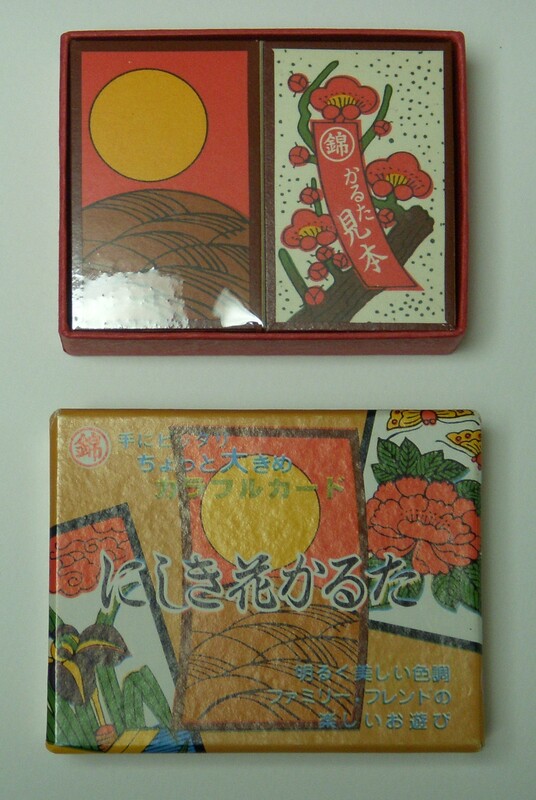 I have several inexpensive decks which I use for the casual game (usually こいこい, koi koi is a great two player hanafuda game), in addition to more elaborate collections that I prefer to just admire (and keep them in mint condition). 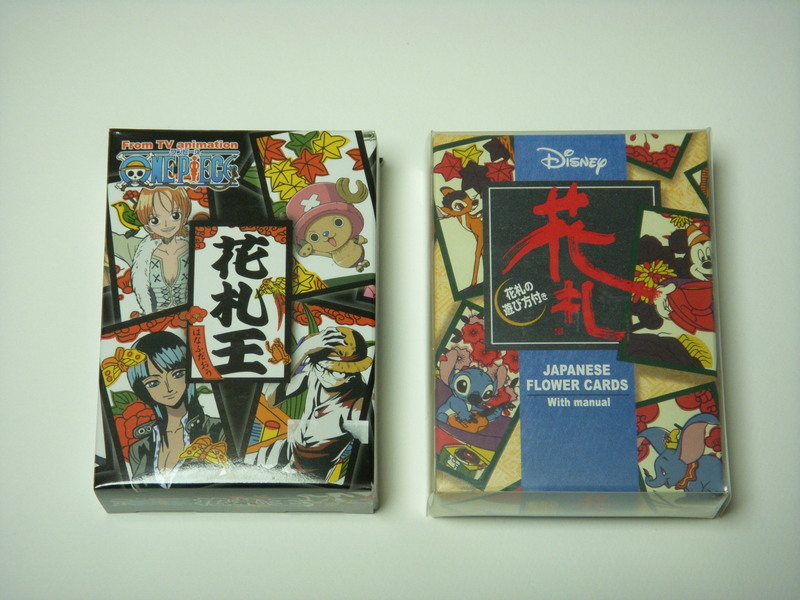 There are Disney and Japanese Manga themed sets, even sets that double as trump cards in case you want to switch card games mid-session. Occasionally you can find a decent quality deck at convenience stores for around ￥1000, and some of the more interesting sets can be found online or at stores like Village Vanguard. Even thought the game is losing followers here in Japan, it’s successful importation to Korea during the colonial period, and to other locales with large Japanese diaspora like Hawaii (check out efforts by Hanafuda Hawaii Style), ensures that the game won’t go extinct anytime soon. If you like card games that are challenging, involve some randomness, and can be played in a variety of formats (not unlike poker), then give hanafuda a look and get yourself a deck. March 6, 2012 August 17, 2018 hallmdm7Comments are off for this post.